Sarah: First, I’d like to say thank you so much for your blog. I enjoy it so much and your recipes are wonderful. I am writing to you as a fellow traditional foods enthusiast as well as a mother raising two young children. I am finding it extremely challenging to be around other families who for the most part parent similarly to me except for when it comes to food. I was at a birthday party the other day and my daughter (who is just over 2) asked me for a juicebox. She’s never really had anything like that before because we don’t consume juice in our home. The other children at the party were each having one and I didn’t want her to feel left out and my friends said something like “it’s just juice, it’s not going to kill her” so I let her have one. I believe first and foremost in gratitude and that when someone invites you into their home we should gratefully receive what they have to offer unless there are allergies or intolerances (which we have none of). This raises so many issues, though, because I do believe that we are what we eat and that juice from concentrate is not an appropriate beverage for my kid. But then I also want my daughter to be a part of the world we live in which happens to have crappy juice boxes that most of my friends give their kids. I love my friends but I eat differently from them in a lot of ways. I wanted to reach out to a fellow parent and ask what you do in these situations. how do you balance your beliefs about food and raising children in a society that for the most part eats junk? I have a few thoughts here, most of which I have shared before. Hopefully, Sarah, you will find some of them helpful. Historically, a guest would have been purposely insulting the host to refuse to eat his food. Most cultures placed a lot of value on treating guests at the table, even if they were just stopping for a bit (like English visiting hours of the middle class in times past-they would have tea and tidbits to serve to guests). For a guest to refuse the food was a serious offense in many cultures. While that viewpoint has largely been removed from our society, between all of those on weight loss diets as well as food intolerance or allergies, I think that people can still feel insulted. Truthfully, I have found no easy way around this when one has to be strict about a diet. My saving grace has been my recovering health. My friends know that I suffered from very low energy and was diagnosed with adrenal issues. They knew that I was choosing to eat a certain way to help heal. Plus, I have very sweet friends who been very accepting and helpful even when they wouldn’t have made the same choices as me. Your friends comment, “It’s not going to kill her…..” probably shows annoyance. Even though you simply hesitated at giving her a juice box, she was feeling that you were judging her food choices at the party. That’s why this is such a tricky issue, I think. People take offense because they feel that you are judging their choices. If you are a hardy, healthy family who eats really well 80% of the time, eating junk food at a birthday party occasionally, won’t be an issue nutritionally. Dr. Weston A. Price found that when he fed a group of children a really nutritious meal for their lunch, that even though their food at home was very bad, they stopped getting cavities and started healing. This allows you the freedom to eat with those around you. I know that some feel strong enough about the evils of refined sugar and flour, and bad additives like MSG, that they will find it hard to let go and allow their family to shovel in these types of foods when out. Personal convictions and standards will vary, but this rule can make life more livable when sharing your life with others. Once, when I was pregnant with my second daughter, I was eating at some one’s house and they served a casserole made with ingredients really high in MSG. I had just read all of this research on MSG and how it can harm young children as well as adults. I didn’t want to be rude, so I ate a small portion of it, but certainly didn’t satiate my hunger with it. After all of my reading, I would have certainly rather not eaten any of it while pregnant, but this saved me from hurting any one’s feelings. In a situation like yours, when your daughter wanted a juice box, sometimes I’ve said something along the lines of, “Sure Sweetie! You can have five sips!” It allows her to try something that everyone else is having without drinking the whole thing. Talk to your children about why you feed them how you do. Make sure you don’t do it in a negative way towards others such as, “We don’t eat like the Jones, because they eat junk food and it’s terrible for them.” But rather put it in positive ways such as saying,while spreading a bit of raw honey on toast for them, “Did you know that bees made this honey? Some things that are sweet have been changed a lot in a factory and so it’s not very good for us anymore. But this honey came out of the beehive just like this! Isn’t that special?” You could also talk to them about the Proverbs that talk about honey, sharing how a little is good, but too much is bad. The point is this, if you have talked to your children beforehand about why you eat the way you do, it will help them understand why you want them to have five sips of juice, rather than 3 juice boxes, like Sally. My daughter notices she doesn’t feel very well when she eats too many sweets, so we talk about the consequences as well. There are a lot of things that can be done that don’t involve food with children. Going to the park, visiting the zoo or other outings. While little kids will often need snacks on outings, at least you can bring your own this way. You can always try to bring along a side dish or healthier dessert, when eating at a friend’s house. 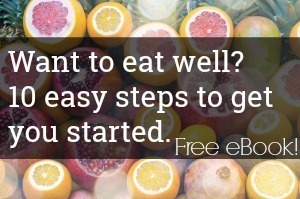 This allows you to share some yummy, but healthier food with them. Not only will you have at least one thing to eat that is more normal, but they can enjoy your “healthy” food too. I often make fun of myself and our eating habits and try to treat it lightly. While I do think that it is an important issue, treating an awkward situation with a bit of a joke can help release any tension. “You know us!” I will say jokingly to a friend when I am not eating something or another. I recently ate some ice cream with my family during a break while we were packing, and they were joking about taking a picture of it and “exposing” me online. I find it good for the soul and for relationships not to take oneself too seriously. (Unfortunately, the sweets I had during the move proved to me that I really shouldn’t eat much sugar, but that’s okay!). While I have certainly not chosen my friends by their eating habits, I have found it helpful for my daughter to get together with families who are also on more particular diets (in her case, dairy and gluten-free). It makes her feel like she is not alone. It’s also nice when they can all eat the same food. You could try to join a Weston A Price Foundation Chapter group in your area to meet like minded eaters. If there are items like soda pop, or candy, or ?, that you think your children should never have, make that clear to them before the party. And if you have close friends/family, you should probably let them know, in a friendly way, that your kids don’t drink pop, or whatever item it may be. While this kind of breaks the 80/20 rule, it may be necessary if you don’t want your kids coming back on a sugar/caffeine high. For our family, we have often had to tell hostesses beforehand of foods that I wasn’t eating, like dairy (which at one point I reacted to very strongly, though now I am much better). My daughter recently tested as reacting very highly to eggs (along with a few other foods), so we will have to watch that where ever we go. Unfortunately, that does limit us and that is a reality no matter where we eat. If I had my way, I would feed us all really well at home, and not worry much when eating out at friends. Those relationships are important for our emotional health and I don’t think it is always necessary to shield your children from ever trying “junk food”. Make your food life a life of abundance, of enjoying really good food, making yummy baked goods that are healthy, delicious roasts in the oven, roasted chicken, and giant salads full of crunch and flavor. If your child eats a cookie here or there at a friend’s house, that shouldn’t be too big of a deal in the context of their daily diet. And if there are special needs, or you just want them to have a better snack, try to send a treat with them to share with their playmate! While there are no simple answers to this question, and what you need to do for your family will vary, try to help your children appreciate what they can eat and enjoy, instead of being sad about what they can’t eat. I was excited to see this post as I am struggling with this this very week. I was wondering if I could get other’s feedback regarding these concepts, but in relation to gluten. Both boys were diagnosed by private panels I had done with a gluten sensitivity. We adhere to a gluten free diet and most of the time a GAPS/grain free diet. We are going to be going on vacation to the south. The first half of the trip we will be with a gluten free family. The second half, we will be in Louisiana. I have explained to our host that we have food sensitivities and I will be using her kitchen. However, there may be a couple times we are invited to eat foods that may or may not obviously contain gluten. My husband (who is generally not on board with our eating) says to pray and eat. Though I know gluten doesn’t always directly manifest itself in my sons, I know that research said damage is still done. Any thoughts on a plan I could have in place should this situation arise? I haven’t seen these people in 15 years and I don’t want to be rude or seem ungracious. Maybe I am not on target with the topic at hand, but would love some input if anyone cares to share. I’ve noticed when I’m in restaurants and say no to the waitress about desserts, they always go on about it anyway, describing how delicious, or it’s a special, etc. So one day, when asked if I wanted dessert, I replied that I was a diabetic. I’m not. I just said that. That always ends the discussion right then and there. People are much more cooperative and less inclined to take things personal when you project it as a medical necessity. Depending how long you’re going to be there, and how many times you may be in a situation of being offered glutenous foods, I would probably change the wording from “insensitivity” to “intolerance”. Otherwise, just offer to do some of your cooking to complement any of their cooking. Work up a menu plan that you think would appeal to non-gluten free people, so that you are ready to cook some meals for everyone 🙂 Every year, I host a luau dinner party and practically everyone has an medical issue. There is something on the table for anyone diabetic or gluten-free, or sugar free. I have a friend whose son has many “intolerances” or “sensitivities” that don’t exactly give him immediate outward problems however what most people don’t realize is that those sensitivities rip apart our insides. Her son gets scopes done often to see what it going on inside his little intestinal system because he doesn’t have outward signs. Everyone we know understands this and excepts it because she just tells people exactly how it is. I would say that you should just tell your hosts that your kids can’t have it the end. You don’t need to lie because if they are sensitive to gluten now then it will probable only get worse if they keep having it and there poor little bodies won’t be able to heal on the inside. Please, please, PLEASE do not lie about having a food allergy. Not only is it unethical it confuses it for people with severe and real food allergies. People do not take it as seriously when I say “food allergy” because people lie. You need to be honest. Tell them that you can not tolerate gluten and invite them in to help you find something you can eat. I think that you will be able to find plenty to eat that is without gluten! We were on GAPS for 6 months when we took a trip to Germany to visit my in-laws. We were not able to stay on the diet at all and so it really helped to get some digestive enzymes. This was extremely helpful in improving our tolerance of illegal foods and enjoying our time there instead of adding stress to the situation. Once we got home we had major detox and went back on GAPS. We have now been on GAPS almos 2-1/2 years and are doing great. It will probably take longer for us to heal because we occasionally cheat but I feel like it is worth it for our mental health. Rebecca, My three kids are sensitive to wheat also. I completely understand where you are coming from. If they have it they wont be sick, but it builds up in the body and does effect them. I do let them have it once in a while, but try to keep it few and far between. What I find is that most people just don’t understand how wheat is in everything. Explain to them how the wheat effects them. For example my youngest gets sinus infections, middle gets a skin rash, and my oldest becomes anemic. If you let them know what happens then it puts more perspective on it. I volunteer to cook dinner for everyone once or twice. I tell them that I LOVE to cook (which I do) or you could tell them about a new recipe you just tried and how you would love to make it for them while you are there. I’ll also ask them what they plan to have for dinner and might make a few suggestions (I have never had anyone be offended for being on top of my kids food sensitivities). If your worried about offending them then you could say that you don’t want to put all the effort on them. Then when I get there I go shopping (or order on vitacost.com and have it delivered) and get GF pasta, bread, cereal, cookies… I find that the people we stay with want to come also because they are curious (another great teaching opportunity). I ask the hostess/host if they have any meal plans then try to find simple alternatives (like GF pasta for past night). Just tell them you are going to get a few staples for the kids and want to know what you need to get. Snack options are important as when on vacation or visiting with people there are always snacks, treats, and desserts. If you have things on hand for the kids they will be happy and so will you. And friends and family will be less likely to sneak them something. For us granola bars are great because they can sub as a meal in a pinch. I will also call around to some restaurants in the area and talk to them about their GF options. Then when the question of eating out comes up you can say “Oh, I’ve heard about this place”. Last encourage your kids to speak up. I am lucky that my oldest is the first one to tell people that she is sensitive to wheat. When anyone hands her a cookie or anything else (even a lollipop) she’ll ask if there is wheat in it and tell them that she can’t eat wheat. This has more of an effect than when a parent says it. When we first took them off wheat and they would throw a fit about wanting something I would let them, but tell them that it will make them sick. After a few times they realized what effect wheat has on them and now they tell people when I eat wheat it makes me feel ……. Thank you all for your feedback! I appreciate it. Thank you so much! This is exactly what I have been needing. The 80/20 rule is great… I get so down on myself because I am not 100%. Good points, Kimi! I deal with this a lot, mostly from my in-laws and my husband tells me is is probably because they are jealous that they don’t feed their families the same way …so your point about them possibly feeling like I am judging them makes sense, but none the less, I don’t walk around promoting how I feed my family and truly, I only talk about it if they ask me. As a single man who just started eating more traditional foods a year and a half ago, I probably aim for 80 percent but in reality probably fall closer to 75 or 66.7 percent. Breakfast is the easiest meal for me to stay within the guidelines. Other meals can be easy if I’ve had time to make something and/or if I have leftovers to eat. The trouble comes when I go out to eat with colleagues or friends which I still do with some frequency. As I only do that a few times a week, though (maybe 3 or at most 4 meals out), it is not a huge problem, but it is still something that I need to improve. Then there are also days when I’m just too tired after work to make anything especially healthy and I don’t have any good options ready to go. I’ve been storing more things to be prepared for those times, but it takes an effort, and it also takes some planning. For instance, having healthy things in the freezer doesn’t help if I don’t plan to take it out far enough in advance for it to thaw in time for me to make it for dinner. Still, I do what I can. I figure it’s a work in progress. Haha I can totally tell you’re a single guy because going out for dinner 3 or 4 nights a week isn’t frequent. Thank you for this post! Definitely helpful, and some great suggestions! My one hard and fast rule with my kids is ‘nothing that has food colouring in it.’ Sometimes I’ve also said to them that it has to actually be “food,” when we’re somewhere that the choices are that bad! As my DD is on strict GAPS, I always bring her own food and explain to people that she has to be on a special diet. Sometimes they are sad that she is “deprived” of cookies and treats, but emphasizing how happy she is about the food she gets helps lighten that thought. For myself and my husband though, we often just try to fill up on good food before going to events, so we are less tempted and eat less of questionable items. It is always a balance. I try to be sure and thank people for their thoughtfulness when they do little adjustments just for us! Thanks so much for laying it all out. I’ve dealt with this too. My son is very reactive to sugar and food coloring and we’ve had to do quite a bit to rework how we eat in order to accomodate this. I’m an all or nothing kind of cook, so changing one thing in the kitchen meant changing everything. It’s very refreshing knowing that what I feed my children is the best thing for them. It was actually refreshing the other day, I was at a friends house and hadn’t planned on staying through “snack time.” She feeds her children a healthier diet than most, but still not like mine. She was polite enough to ask me if it was okay if her kids shared their bowl of “pirate’s booty.” (Cheesy popped corn) Of course I said that it was fine as I do adhere to the 80/20 rule pretty well, but it was very nice to not feel judged even though she did have a smile on her face when she asked because I think she expected a “no, thanks” I’m going to share this post on my Facebook page because I have a lot of friends who ask me about our food beliefs a lot and you’ve expressed my own thought’s perfectly. Thanks again for posting! As the mama of a 2.5-year old on a very restricted diet due to food allergies, I would just chime in that the best approach I’ve found is 1) be prepared and 2) never feel like I need to apologize for the way my family eats to be healthy. I do apologize when our food “situation” inconveniences others, but I put my daughter’s diet as the No. 1 priority. For example, we just invited old family friends to come visit us for dinner. The drive would be about 2 hours for them and they asked if we’d be willing to meet in the middle. I told them with my daughter’s current food list that we weren’t comfortable eating in restaurants, but I was so sorry for the inconvenience. Once they understood the situation, they were willing to make the drive. I take food with us wherever we go, including parties, and talk to my daughter a lot about how “everybody needs different food to make them healthy.” My husband and I eat as closely to my daughter’s diet as possible, as do visitors to our home, which is a huge help. I think about this topic a lot as my daughter gets older and becomes more and more aware that we eat very differently. But the best moments come from times when we find a way to celebrate this journey and the blessing of health it brings. I find if I discuss the “rules” before an event then my kids will say “no thank you” and so it appears more of a taste preference. We have a rule of one treat for special events like birthday parties. Juice, crackers, cookies, cake, etc. all fall in the treat category. So they will decline the juice box and accept one serving of cake (I do try to sip in and choose their serving). At all other times when offered candy they know to decline and know that I will try to provide then with a family approved treat (blue berries in raw cream, etc.) later. This has been working since my now 8 year old was about 4. Prior to that I was able to prevent her from having any treats at all by setting that as the rule. Your rules have to be consistent, never bend and discussed each and every time before the event. Great idea about one treat! Hi Kimi, let me start by saying I LOVE your posts, recipes, website, etc. I’ve been onto you for about a year now and this is the first time I am posting a comment. You’ve shared many great suggestions on this important issue that all of us who care about what we eat face. None of us want to offend anyone of course. But at what point do we draw line to spare others at our own expense. Personally I am attempting to honor my choice to eat in a healthy, nourishing way. I do use some of the suggestions you mention but only up to the point that they work for me and my family within the boundaries I am comfortable with. So far it has not been a problem for others. I don’t act like the food police; however if someone is curious about my choices and inquire I share my thoughts with them. I enjoy your articles and watching you ‘new’ mommies learning and growing and raising your kids to be strong and healthy. However, I noted you stated your daughter had a ‘strong reaction to eggs’ and I wanted to share some insight with you from Bee Wilder’s Healing Naturally program in which she helps unhealthy people attain health through whole foods. Hopefully the link will show up. The article discusses “allergies” as opposed to “healing reactions” which, in most cases are exactly alike. There are people who may have strong -healing- reactions to eggs. It does not mean they should stop eating eggs. On the contrary, they need to slow down their intake to perhaps 1 tsp of egg yolk three times/day and slowly allow their body to utilize the important nutrients that come from the egg, which is such an awesome and whole food. As the body gets better at healing, then the person can increase their egg intake. Bee writes: “…do not be alarmed if you get healing and detoxifying reactions from healthy foods like eggs, unrefined coconut oil, butter, and many other good healing foods. Eggs are a good example since they are high in sulphur, which is one of the 7 macrominerals the body requires, and it is most important for detoxification processes in the body. The same is true for garlic and other foods high in sulphur. “Healing and detoxifying reactions include an upset stomach, gas, bloating, diarrhea, a cold or flu, inflammation, muscle and joint aches, pains and stiffness, headache, skin eruptions of all kinds, and abnormal eruptions inside the body such as cysts, polyps, tumours, abscesses, etc. We have many members on Bee’s forum who came to her program “unable” to eat eggs who now consume eggs daily with no issues. Thanks so much for these thoughts! We have four children and have experienced these exact difficulties in eating at other people’s homes. One compromise I’ve made is to allow my children to have the cookie, but not the juice box when both are offered. I agree about not offending someone’s hospitality though–it is so helpful to read your experiences. I do tell my kids that the food is junk food and not good for them. But I also explain to them that others are free to make their own choices, just as we do, and that most people eat differently because they don’t know it’s bad for them. I want them to have grace for others, but still understand that bottom line, the food is not healthy. So far it’s worked — my 4-year-old often says, “Other people make different choices” or things along those lines. We are lucky enough to have many friends who eat like us, or at least kind of like us. And many kids around us have some food allergy or another, so no parent is ever offended if you turn something down, and they always ask before feeding your kid anything. That has been really nice. Last week I babysat a friend’s kids and I did a Mexican-style pork roast with black beans in the crockpot, sprouted tortillas, fresh salsa and fruit salad. Doesn’t sound like kid food, right? But they loved it. 🙂 Real food kids are awesome! We love to share like this when we have people over, and that helps too. Many have been intrigued enough (the adults) to ask a lot of questions and we’ve had some good discussions. We always bring out the kombucha and often make homemade ice cream when we have guests, too, so they can try some of our “treats.” They are usually surprised and enthusiastic. So inviting others to your home and treating them to real food goodness is a great way to handle it too! For me, it’s about teaching my child what will help her body and what will harm it. We do the best we can. It helps to plan ahead. Feed them healthy filling food prior to the party. That will help them say “no” to eating junk and “yes” to socializing. We also bring water bottles and a little healthy snacks just about everywhere we go, so if she sees a kid with something sugary or junky, I’ll have a healthy option to offer instead. As a parent, you have to weigh whether the psychological stress of saying “no” is more damaging than the poison in the “food”. For us, it’s not just a juice box, it’s a dose of GMO HFCS, plus the sugar and pesticide residue from a lot of fruit. If your child is super healthy, perhaps they can drink it with no problem, but if they’re recovering from cancer or have some other chronic illness, maybe saying “no” is a way of saying “I love you too much to hurt your body with poison.” So tell the hosts that your child’s body doesn’t do well on juice and hand your child a bottle of water. Educate your friends when they come to your house. Share your knowledge about what a healthy diet has done for your children. Show them how wonderful an organic, homegrown high quality traditional meal can be. It may seem extreme to some here, but I would honestly let my child take a few sips of 100% apple juice at a party. Shocking, I know. 🙂 A sugar-y juice, I’d stay clear of, as they have a lot more junk in it. Plus, the one time Elena had a sip of sweetened juice, she didn’t like it. That’s what a real food diet can do to you! Once I took my then two-year old at a birthday party where the 100% (carton) juice was the only decent thing for him to have so I let him have two! I was certainly feeling so much better that my son had skipped the birthday cake (full of hydrogenated fats, sugar and food coloring) and all the other processed cheese and meat snacks! I always felt that having a rancid fat (trans-fat) was far more worse for your health than the occasional sweet and lived by that rule. My 22-month old daughter is on the GAPS diet (I am too) so I always take with me a special GAPS-legal treat for her and she’s super happy; never asked me for anything else from the big buffet tables. Great ideas. I definitely follow the 80/20 rule. In fact I look forward to going out to eat where someone else is cooking so I can break all the rules and not feel guilty about it! I don’t always feel good afterwards, but I just need a break sometimes! A good idea would be to fill up the little one with tons of good fats/foods right before the party and then the sugar high won’t be so bad. Then you know you’ve done your part to control what you can. Love your thoughts, Kimi, as well as others’ comments. A problem we’ve run into time and time again is the feeling of being left out when all the other children at a party, in a class, or at church, etc., are rewarded with little candies, etc. A friend of mine came up with the plan to let her children “trade in” their sugary treats for a quarter. This has worked great in our family – my daughter no longer feels left out when all the other kids are chomping on their candy. Instead, she eagerly keeps track of the candies she collects & trades in for quarters. She has been using her savings to purchase books from the book club at school – a total win-win situation in my book. I also love that idea! I think that eating carefully most of the time but being ‘guilt free’ if you do eat junk food for a little bit of the time is a good approach (if you’re able to – obviously if you’re intolerant, that’s another thing). My mum and I both have a habit of binging on sugary things and then feeling guilty and it’s amazing how that kind of psychology can affect you and potentially lead to eating disorders later in life. Also, I have tried to follow a very low sugar diet since my son was born due to candida for me and also finding out more about how bad sugar is for us and in particular kids. And I’ve found that by having that sort of general diet, my son might want to try junk food (eg sweet chocolate yogurts that come in thomas the tank engine decorated pots!) but quickly loses interest in them after a few spoonfuls as they’re much sweeter than he is used to. This is exactly why I’d rather not be so restrictive on my child’s diet. I certainly can’t condone anyone feeding their kids a lot of junk food, and as soon as you make it a daily routine, I feel like you could be messing with the development of your child’s taste preferences. However, I want my children to have a more nonchalant attitude towards junk food. Such as, “Oh yeah, I tried that once and I like mom’s food better”. If all other food is considered so strictly forbidden, I am afraid that it could cause some weird attitudes towards food. I’d much rather them just learn to enjoy real food so that avoiding junk food isn’t a big deal to them. What a great post. I’m also enjoying reading all the comments because I really need ideas in this area. Especially when my mother-in-law brings over a bunch of junk food, even though she knows we don’t eat it. I feel bad getting rid of it all, but the one thing I’ve seen help is to tell the grandparents/relatives that she’s allowed to have ONE thing that day and that’s it. This way they feel like they got to “spoil” their grandkids with special treats, and I don’t end up offending their well-meaning generosity. Something else that has really helped when the kids go over to grandparents’ place or to cousins’, now I pack them their snacks. Sometimes the grandparents just don’t know what to feed them and end up giving them all manner of junk, whatever is easy and in reach and they know the kids will not resist. So I make it easy, like a pre-packaged “kefir” for kids. Cheese sticks. A box of raisins. A bag of trail mix. That way it’s also portion controlled. I’m still working on how to talk to them more about healthy food choices. There’s this book I want to start with them, Vintage Remedies for Kids, http://www.vintageremedies.com/home/index.php?page=shop.product_details&flypage=flypage.tpl&product_id=15&category_id=1&option=com_virtuemart&Itemid=293 – since I’m just starting to homeschool, I think it’ll be great to teach them about REAL FOOD and natural living. My family has had its food issues for over 15 years now–gluten/casein/soy/artificial ingredients/starch/yeast-free at this point. (Some in the family are SCD, some paleo.) Because I have had to deal with this “socialization” issue for so many years, it was refreshing to read a young mom’s take on it. I am totally with you–be able to laugh ay yourself so they get off the defensive, take some of your own food, and “cheat” where it won’t have a strong health impact as long as you go home and maintain the diet proper to each person’s needs. You are insightful, wise and sensitive for a young mom on a mission. Blessings to you. I enjoy your blog. Great article and comments. Very insightful. Thank you! I think sometimes people assume I don’t eat anything normal, or feed my kids anything normal- like peanut butter and honey sandwiches- because they know I eat differently. I try to just minimize differences, like tell them my kids certainly do eat that. I don’t point out that the bread is sprouted or home made and soaked, the honey is really raw, the peanut butter might be soaked and home made (or not) and the “jelly” is made with fermented dried fruit. Unless someone is interested, I just keep it to myself. I think I will start using the one treat rule (in above comment) for parties. My oldest (3) has unfortunately been so inundated with junk food and sugar that I have seen her eating habits go from fantastic to not the best, though she still has some great preferences. The other morning she requested about 8 ounces of leftover sockeye salmon for breakfast. It wasn’t on the menu but I let her eat it all up. That I can not complain about. Now if I can just find a way to get her taking cod liver oil again… I really need help with that one! Her favorite drink is kombucha and she loves smoked kipper snacks and eggs. My two year old loves smoked oysters and raw milk and drinks all the bone broth out of any broth based soups I make. All this to say, I have my challenges but I think continuing to provide healthy foods at home in the midst of life, parties, pot lucks and so on will go a long way. And letting them eat a bit elsewhere or gifted (we have no allergies) takes the mystery and some of the allure out of it. About the cod liver oil- the only thing that has worked for my 4 year old is to get a shot glass, put a bit of chocolate coconut milk in it, put in the peppermint FCLO, mix it up so there are no clumps, and give it to her that way. She likes it when people watch her do it, and she has a glass of water to drink afterwards. I realize the chocolate milk may not be ideal, but it’s not much (less than a tablespoon) and she’s FINALLY taking the FCLO! And Kimi, I much enjoyed the article. Thank you! I think another point to bring up ( I hope this isn’t repetitive, I didn’t see it mentioned) is that allowing children a treating or a small amount of something “bad” in social situations is that they don’t feel alienated. This is assuming allergies aren’t an issue of course. I think that is very important because when they’re older and at school events, friends houses, etc. without their parents they are more likely to stick to their normal diets the best they can willingly. The desire to try everything they’ve never been allowed will be less if they had a SMALL amount of exposure in a positive light. I had a friend growing up whose parents were VERY strict about what she ate at home. When came to my house to play all she would eat was the junk food my parents kept in the house because she NEVER had any in any situation when she was with her parents. Even being young I knew this was not a good way to eat. I think that it is also very important to remember that things change with kids growing. One might succeed in telling a 2yo not to drink any soda (though an independent-minded toddler will go ahead anyways), ever, and remember that controlling and managing a teenager probably does not work. Another point is that scarcity makes things valuable, and people of all ages are very resourceful to find ways to obtain whatever they deem valuable. I’ve worked a lot on providing nutritious and healthy foods at home (80/20 rule does a lot to set mom’s mind at more peace!) and letting go of my fears while out and about. I’m actually thankful when my kids (6 and 2 yo) get a reaction to food, so we can talk about it and connect the dots: If you eat a lot of chips, you throw up, your body wants to get rid of them (a real situation with my older child when we never had chips at home). One thing that I have found helpful is to make sure we have high quality chocolate (dark, organic, low sugar), potato chips (organic, simple ingredients), juice boxes (again, organic) etc. I’ve seen it in my kids that even though they do try more junky versions, they tend to refuse those because they have been used to a better-tasting food. Oh, Kimi, and I really like your advice on taking yourself lightly! I will definitely work on that. I love this post and I think its subject spreads beyond children. I’m a twentysomething living in NYC. So, so much of socializing here is done at restaurants or bars. Our apartments are just not set up to entertain (someday maybe!). I give myself a free pass when I’m with friends. I don’t eat sugary desserts and I usually try to eat vegetarian to avoid factory-farmed meat, but otherwise I focus on the friends and not the diet. We’re lucky here in that many people are into pastured meats so a lot of restaurants label their meat as such. Some even list the farms the meat comes from (Portlandia, anyone?). The point is you can’t be good all the time. I always think back to a snippet I read by Dr. Weil when I was first learning about nutrition. He told a story about a time he stayed at some friends’ house. He chose not to partake in most of the meal because it didn’t adhere to his diet. The next morning everyone who had eaten and enjoyed felt great while he felt off. My motto is sometimes you have to feed your body, and sometimes you have to feed your soul. The 80-20 rule is great because it allows for the slip-ups that create instead of destroy wonderful experiences. I appreciate your tone and perspective here, Kimi. Best wishes getting settled into your new home. Many of you that have commented have younger children. I was wondering if any of you have older children that have had to deal with going on youth trips with church groups or going to a youth camp. I have two older children that have had situations come up this summer that we have had to turn down because we are not sure how to handle getting healthy food for them or food for a special diet. One child does not really have food allergies, but we do not eat fast food or really any junk food. She has an opportunity to go to a Christian workshop this summer for a week. The group would be staying in a hotel that does not have microwaves or a refrigerator in the rooms. The pan is to have the kids eat fast food for 3 meals a day for a week, yuk! My daughter is left with the choice to conform to what everyone is doing and get really sick from eating that way, since her body is not used to it, or eat by herself in a nicer hotel restaurant. Her father and I don’t feel comfortable with our 16yr old daughter eating by herself in a hotel and it is not an option for one of us to go with her because of cost and other children we have to take care of. My 12 yr. old has an option to go to a camp this summer that she would really love, but she has very severe food allergies that causes her to have uncontrollable twitching and to feel sick if she eats offending foods. There are so many foods that she needs to stay off of it would be hard for the camp to accommodate her needs and 8 days would be a long time for her to bring her own food. Has anyone had experience with these types of situations and what have you done. It gets a lot harder as they get older and start doing things without you. My husband is employed at a camp and we work very hard to accommodate diets and special needs. Some moms send food for the week or specify what they can and cannot eat. Our healthcare staff work with them and the foodservice director to ensure that they are cared for. Also, we have a salad bar for staff (and options like fruit) that we let the campers use. Call the camp directly and ask what they can do–you may be surprised! For the past two summers, I have been in charge of cooking for the week-long youth (middle and high school student) summer retreat. I am not a parent of any of these kids, but I was very concerned with what they were being fed and would have appreciated some of the parents stepping up and putting their foot down about the food on the trip. The second year, others planned the menu and shopped; I let the situation go and decided that it was out of my hands and I would simply make myself available as a servant. Wooo. There were diet requirements of two of the kids this time – one with Crohn’s and one vegetarian. I arrived at the location to look at what I was going to cook… oh, no! It was beyond a nightmare for me, and I can sort of chuckle about it now (again, sort of). A huge can of premade chili. Large plastic jars of spaghetti sauce – with meat, the vegetarian got a grilled cheese sandwich that night. I will let you guess what kind of “cheese”. For approximately the same amount of people, the food expense increased half again the second year, and at the end of it all, the leftovers were thrown into garbage bags and set out in the bins. Needless to say, I am not cooking again this year. 🙂 The child with Crohn’s – yes, he was feeling ill and resting in his room a fair chunk of the week. The whole situation was heartbreaking and frustrating. When weighing the health of your children against social stigma, I am of the opinion that health needs to win. More opinion: If they are being raised in a church setting, early lessons in living differently (and seeing the rewards of it, like simple taste preferences because they aren’t used to the unhealthy stuff and it isn’t as satisfying as “mom’s”) can have a positive impact on teen and young adult choices. I wouldn’t mind the 80/20% rule or my kids being exposed to “a little” junk food every once in a while. The problem is that my kids are constantly being exposed to junk food at school. They ask the parents to bring treats for the kids for their birthdays, plus the birthday parties outside of school, plus other social gatherings… it adds up. Even the bank teller and the hair stylist want to give lollypops to the kids… it’s constant. So I do have to say no a lot, and my kids do feel left out. It’s a constant struggle. I try to keep it positive, but I can already see the anxiety in my daughter’s eyes when somebody offers her candy. She looks at me with that “what do I do now” look. If I don’t let her have it, she feels sad. If I let her have it, she feels guilty because she knows that deep down I don’t approve of it (even if I try to dissimulate it). It’s a no win situation for us, unfortunately. I used to go ahead and let them have the junk from time to time for politeness sake, but now that we have a special diet there is just no way that would work any more. I’ve written a couple series of posts on feeling like a Crazy Diet Person and on Empowering Kids on Special Diets that your readers might enjoy. Yes, I am a crazy diet person who has indoctrinated my children! Thanks for this post. Seeing that it’s Sunday, I’m once again struggling with this issue. On Wednesday, my son came home from AWANA with a goody bag that contained a sucker, marshmallow twist, and gummies. Today he was given a popsicle in Sunday School. If this happened at the occasional birthday party, I’d be fine with it. However, this is twice a week at church! I don’t want to be divisive. I want to honor their teachers. I just don’t know what to do. I can certainly have him trade in the junk he brings home for something else, but what do I do about what he is consuming there on a regular basis? Do I talk to the teachers (again)? And maybe just briefly explain that you’ve seen adverse effects in your kids, and you are really comprehensively trying to deal with it at home and when they are out & about. I love your 80/20 rule! I have two young girls, and while I’ve always been interested in healthy eating, I’m only just discovering how much more there is than just incorporating more fruits and veggies and banning white flour! LOL I know it’s a learning process, and that change takes time, but I have to remind myself not to feel guilty when I read posts where people are death on 100% fruit juice. Knowing that as long as I do the best I can the majority of the time is really encouraging. I used to cringe every time I picked my son up from the church nursery and could see crumbs on his shirt and he smelled sweet, because they fed him some kind of teething cookie or goldfish. I started taking a snack cup filled with grapes, but they said they wouldn’t allow him to eat that, because all the other kids would want grapes, too, so everyone gets the same snack. I didn’t allow my son to have any kind of grains or flour before a year old, but I figured once a week wouldn’t kill him and there’s no sense in arguing with the nursery workers. I just found this blog and I am going to chime in on this topic really late in the game. I am an adult who was raised on a whole foods diet when it wasn’t popular or readily available. (My mom used to make her own soy milk and nut milks and her own sprouts and her own…I remember when rice dream came out) My mother had severe food intolerances that forced her hand, but she allowed her kids 80/20 unless there was a food intolerance or allergy. As an adult I am highly reactive to gluten – so I understand the non-compromise for intolerance or allergies. I don’t compromise on this item ever – its not worth being sick nor would I ever encourage anyone to cheat in a similar manner. However, I noticed that most of the people commenting have small children and some expressed unwillingness to compromise when it was a matter of choice rather than necessity. I think this is very short sighted and assumes that you will continue to have this level of contral as your kids mature. You won’t and you are setting up the dynamic now that will play out with teenagers. I did know other kids that grew up on whole foods diets, and these are my observations: Those children are going to grow up and make their own decisions about food, and its going to happen sooner than you realize. In junior high, kids can and frequently do sneak contraband foods. You are much better off teaching the 80/20 rule when they are really little and being relaxed when your children consume the 20%. No guilt trips (or withheld approval) when you have given permission for a child to consume something in the 20%. Otherwise you are very likely to frustrate your kids and inadvertantly encourage them to abandon all the good things you are teaching them as legalistic, social life inhibiting, and generally over the top. I saw it happen more than once. Your children are more likely to stick with the healthy diet or a modified version of it throughout their lives if you are not militant about it. By the way – treating your kid’s friends to yummy healthy food, and teaching your kids the whys of your diet are all good things. Its just important to recognize that you will not be able to control everything or you will start to drive both your kids and yourself crazy.